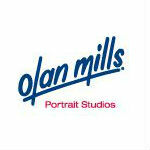 Get free Free baby portraits at Olan Mills Portrait Studios. Present the offer to get the free traditional portrait package of 1 – 8×10, 2 – 5×7 and 8 wallets from your favorite pose. Offer valid for children 6 months and under. Offer expires 12/31/13. I have got the cutest GrandSon and his Mommy just finished collage. so money is short this will be great.